Hiring a bankruptcy lawyer in Oklahoma doesn’t have to be so hard. With the help of the right lawyer the process can be made easy. The big thing about filing bankruptcy is that it seems intimidating. With all the paperwork and the special requirements its understandable. But, the Oklahoma bankruptcy attorneys at EZ Oklahoma Bankruptcy make it simple. The first thing you have to do is call me. As a general rule I’ll answer the phone rather then one of our paralegals. I do this because it makes the process easier. Because we understand the stress of our clients we are in a great position to make it easier. Many firms require you to leave a message and promise to call you back when they’re back from court. Once you do get a hold of the attorney they’ll set up an appointment for you to come in and do a consultation. If you’re unlucky this consultation might not be for another week or two. What I do is a little different. Like I said I answer the phone personally. Most times I will pick up on your first call but, if not, rest assure, I’ll call you back normally within 30 minutes. By answering the phone myself I think it makes hiring a bankruptcy lawyer in Oklahoma just a little bit easier. 1. How long have you lived in Oklahoma? This is a jurisdictional question to help me determine which federal district court your case will be filed in. To qualify to file in Oklahoma you must have lived in the county in which you are filing for six months. Other questions will be asked about your residency but this is generally the most important. 2. Have you ever filed a bankruptcy before. Most people when asked this question become embarrassed and fail to understand that many first time filers will go through the process again in their lives. 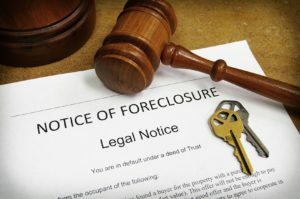 Although I hope that once you file a bankruptcy case in Oklahoma you will be financially good to go but with recent economic hard times and the current credit and housing crises this is just not the new reality. Why I ask this question is because you can only file a chapter 7 every eight years measured form the date of your last filing and a chapter 13 four years from the filing of a chapter 7. 3. How much money do you make and are you married with children? I ask this question as a part of the means test. With the new Oklahoma Bankruptcy laws the means test determines what chapter of bankruptcy you can file for in Oklahoma. If you make at or below the median family income in the county in which you live you will qualify to file a chapter seven bankruptcy in Oklahoma. If you make above the median family income you must file a chapter 13. 4. Do you own a house or a car? I ask this to determine what your intentions are as to those assets. Generally you can keep those assets and continue to make payments or send them back to the creditor and discharge the debt, its your choice. 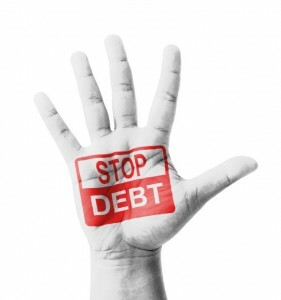 In the event that you decide to keep the asset we will reaffirm the debt at no additional cost to you. 5. Do you have any retirement accounts or pension plans? I ask this question so as to set your mind at ease. Under Oklahoma bankruptcy law most retirement accounts are exempt…so you keep them. 6. What personal property do you own. Once again this question is informational and designed to let you know that many objects of personal property are also exempt but certain limitations do apply. 7. Provided you qualify I will generally set you up with an appointment the very next day.